An exhibition of artwork by Emily Haysom, Artist and Firefighter. Photography and mixed media installation. 'Rapunzel's Shout' is a personal museum of curiosities created by Artist and Firefighter, Emily Haysom. 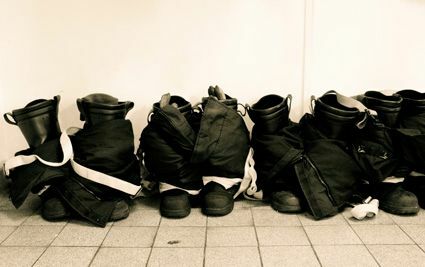 It is the culmination of an Arts Council funded residency with Cambridgeshire Fire and Rescue Service, showing an individual view of adaptation and development as a female firefighter.